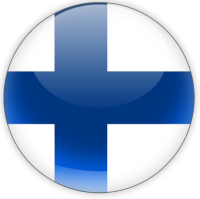 Finnish is a Uralic, and a finno-ugric language, used by Finns and Finnish ethnic minorities outside Finland. Finnish is one of the two official languages of Finland, the other is Swedish, which is the language of the Swedish minority in Finland. Finnish is an official language of the European Union since 1995. The language closest to Finnish, which has also officially its own state, is Estonian, and the closest to them is Hungarian. That is the main reason I got interested in Finnish language and culture. The high quality of translation is guaranteed by my Finno-Ugric studies and by my student exchange programs. I spent a month at an intensive Finnish language course in Helsinki and half a year in Jyväskylä participating in Finnish language courses and as a Hungarian teacher.